Casino Euro – Christmas Daily Deals | Week 2! The second Advent week has just started with another special calendar with Christmas Daily Deals. Casino Euro enhanced the offers compared to their usual deals where players can claim Free Spins on deposit, take part in cash tournaments, receive a balance booster with a reload bonus, earn wagering rewards and more. Start today with up to 60 Free Spins on Holiday Season. Monday, 11th December 2017: Free Spins – Deposit min. €20 in a single amount to instantly receive 40 Free Spins on Holiday Season. Hit the Free Spins round 1x on the same game to receive another 20 Free Spins tomorrow. WR is 15x FS winnings within 5 days. 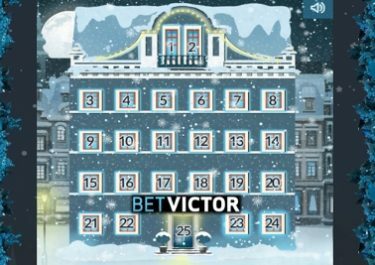 Tuesday, 12th December 2017: Santa Mission – Hit a “Nice Win” equaling 8x stake on the new Santa slot to receive 20 Free Spins on the same game, credited by 17:00 CET on Wednesday. Wagering requirement is 15x FS winnings within 5 days. Wednesday, 13th December 2017: Reload Bonus – Deposit minimum €10 to receive a 50% deposit bonus, up to €25. Wagering requirement is 40x bonus within five days. Thursday, 14th December 2017: Jungle Tournament – Score the highest single coin win on Jungle Books to place in the TOP100 and win bonus prizes from €20 – €500 or 20 FS, credited on Friday. Wagering requirement is 10x for the bonus prizes and 15x for the winnings from the Free Spins, both within five days. Friday, 15th December 2017: Goodie Bag – Deposit €30 in a single amount to instantly receive 20 | 20 Free Spins on Mega Fortune Dreams™ | Cosmic Eclipse. Wagering requirement is 15x FS winnings within five days. Saturday, 16th December 2017: Free Spins – Deposit min. €20 in a single amount to instantly receive 40 Free Spins on Finn and the Swirly Spin™. WR is 15x FS winnings within 5 days. Sunday, 17th December 2017: Free Spins – Deposit min. €20 in a single amount to instantly receive 20 Free Spins on Book of Dead. Hit the Free Spins round 1x on the same game to receive another 20 Free Spins tomorrow. WR is 15x FS winnings within 5 days. Make sure to OPT-IN first before depositing or starting your play. All bonuses, unless otherwise stated, are instantly credited the soon the conditions are met and are subject to the standard wagering requirements. Minimum deposit for bonuses is €10. Casino Euro Bonus Terms and Conditions apply to all offers, always read them carefully.